Quarry reserves running low, necessitated shooting, in total, at least 600,000 tons in close proximity to several structures. The area was right next to a new $15 million crusher complex. To further complicate the blast plan, an asphalt plant sat 225' directly behind the last shot, with a 20,000-gallon fuel oil storage tank. In a 225' radius, there was $20,000,000 in structures that could not be moved. 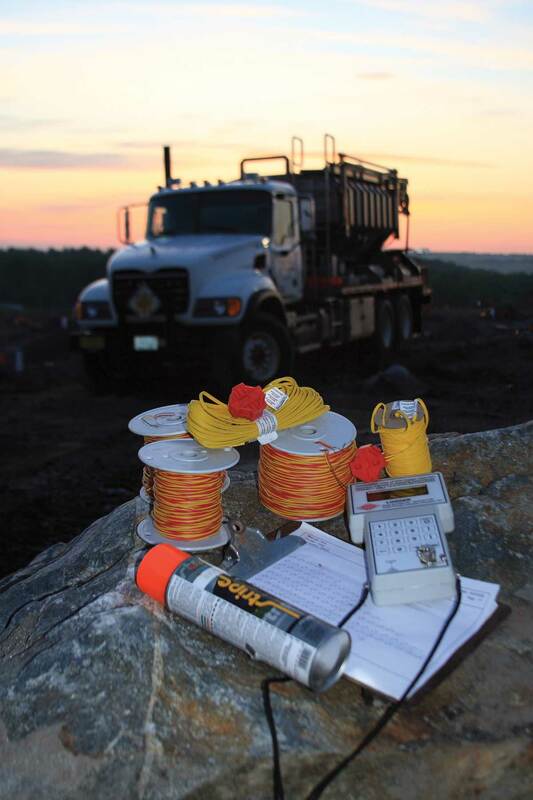 MD&B chose to employ Electronic Detonators to provide advanced control over muck pile displacement, as well as for vibration and air blast due to the size of the blast, which utilized 70,000 pounds of explosives. Post-blast there were just under 130,000 tons on the ground, almost 100% crushable. 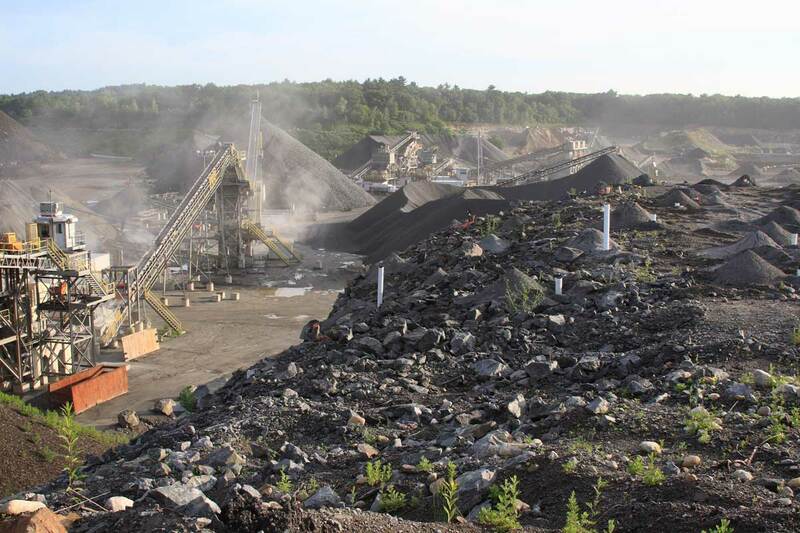 There was no flyrock damage to the crusher or vibration damage to the asphalt plant. All of the seismographs were well within limits, and there were no complaints from area residents. 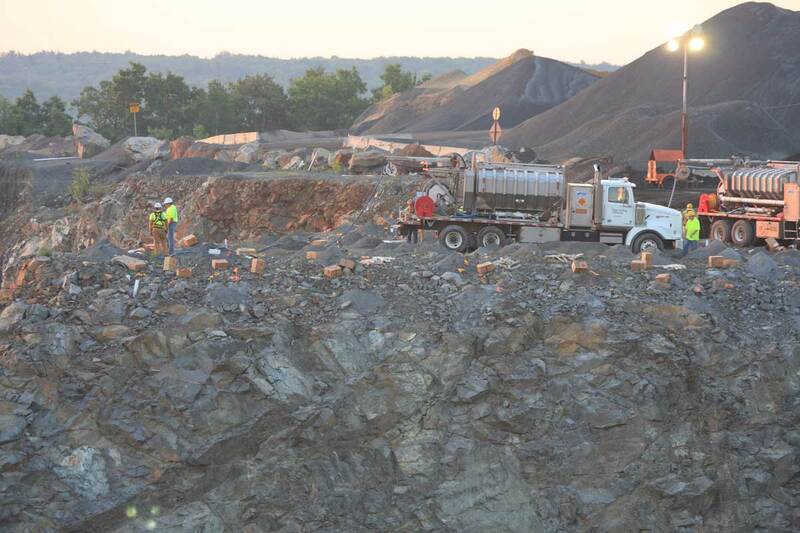 Quarry management could not have been more pleased with the process and end result. Brox Industries in Dracut has since insisted upon Electronic Detonators for all shots critical in either vibration or proximity situations. This current project is my first rock job with your company. Overall, I have been very pleased with the total support that I have received from Marc, Jeff, and your group of drillers. The results we have obtained are by far the best I have had in years. 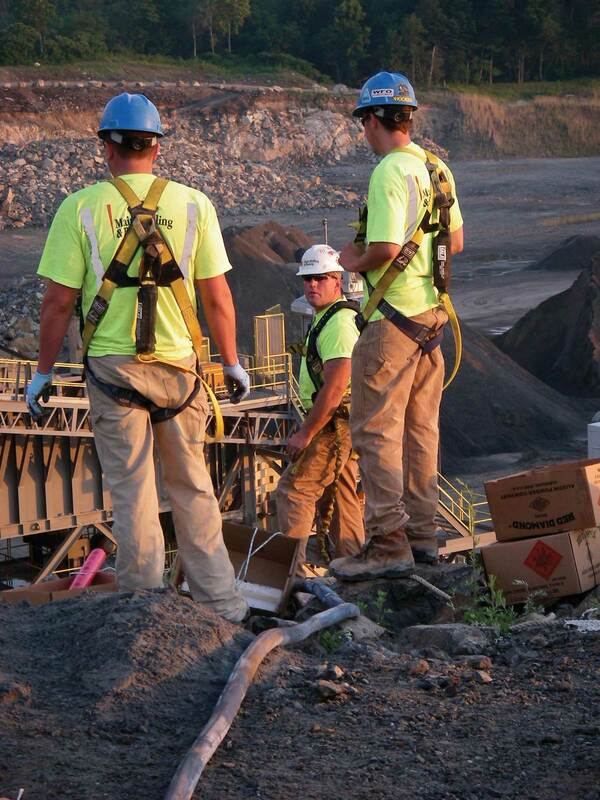 Your ability to drill to the required depths and blast the rock into manageable sizes has made this job easier to complete. My past experiences with blasting companies were not as satisfactory as this experience with yours has been. For example, three of your drills drilled as much as six drills from the last company. Your rock breakage was by far more manageable because we didn't have to use two D-8s to push large rocks out of our way. You were on time and professional, which was greatly appreciated. 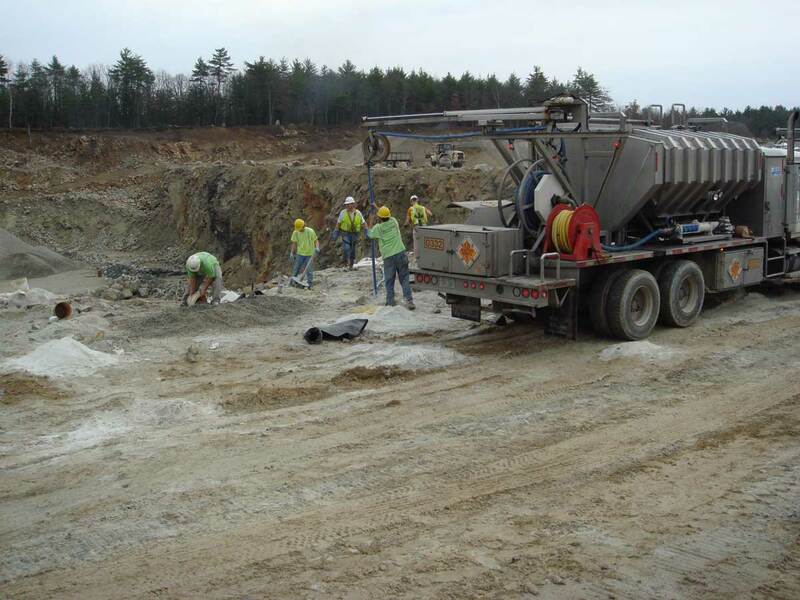 Thank your company, Marc and his staff for the outstanding job, and I hope that we will have more jobs with Maine Drilling & Blasting in the future."